NOTEDo not browse for the movie file again. Leave the automatically generated field text as “many files selected”. 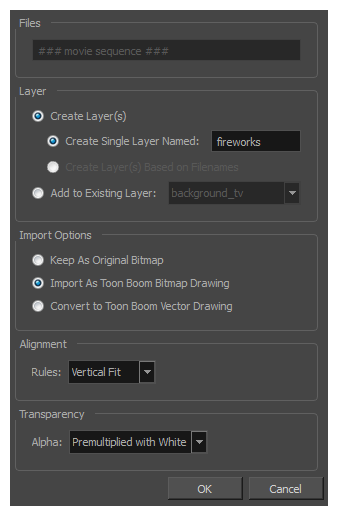 Make your decisions for the Layer, Alignment and Transparency sections of this dialog box—see Import Images Dialog Box.